With its rich cultural and natural heritage, Nepal is a prime destination for adventure travelers from around the world. The main attractions extend far beyond famous Mt. 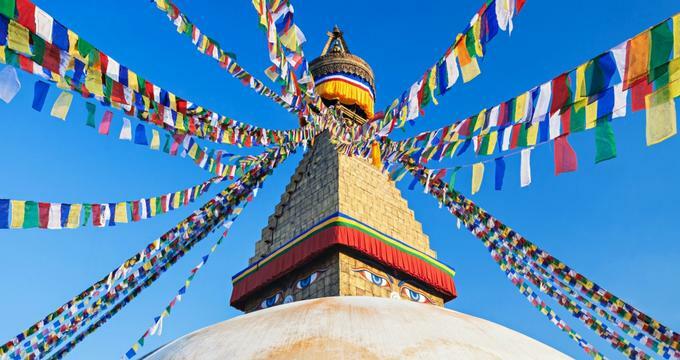 Everest – mountain top monasteries, interesting museums, sprawling national parks and world-renowned trekking areas can be found throughout Nepal. Culturally, visitors can view all kinds of Hindu and Buddhist sites, and there are plenty of traditional villages where travelers are welcome. 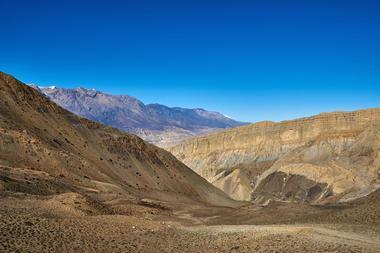 For visitors who want to get off the beaten track Nepal has scores of areas that see little to no human activity. 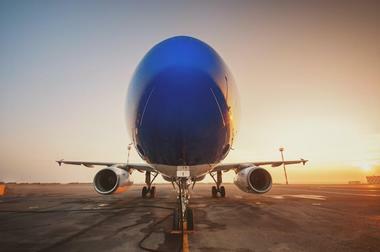 The country is a safe and exciting place for travelers from around the world. This beautiful park has a distinctly alpine feel with its pine and juniper-filled forests. Rara Lake, one of the highlights of the park, is perfect for boating and other watersports. 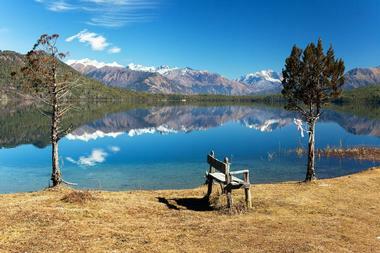 Rara Lake is the largest lake in Nepal and measures 167 meters at its deepest points. There are also numerous hiking trails and walking paths throughout Rara National Park. Flora and fauna are abundant here. Rara contains more than 500 different species of flowers, 20 different kinds of mammals, and 214 species of birds. Many visitors enjoy trekking into the park along the Tibetan border during the warm months of the year. Sagarmatha National Park is home to Mount Everest, the world’s tallest peak. Accessible from Namche Bazaar, this park contains miles of trekking paths and all kinds of beautiful and secluded spots where visitors can see views of the imposing Himalayan Mountains. The park is full of rugged terrain and a variety of wildlife and birds are found throughout the region. Beautiful flora, including pine, oak, and flowering rhododendrons, are scattered throughout the high alpine areas. The best time to visit Sagarmatha National Park is between October and November and between March and May. 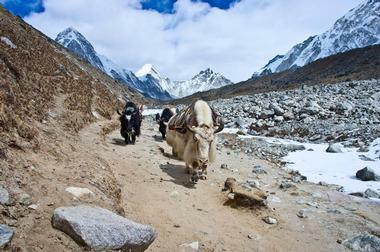 Trekking and mountaineering are the most popular activities in this part of Nepal. 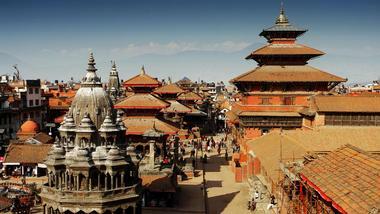 Durbar Square is located in the heart of Kathmandu. Filled with color and intricate woodwork, it stands in stark contrast to the drab concrete buildings on its outer edges. The complex was once home to Nepal’s royal family, but it has since evolved into an important cultural and historical site. More than 50 temples are found in and around the square, and each temple is unique and special. Many of the temples were built in the 17th century, and the earliest temple in Durbar Square dates back to 1549 AD. This eclectic museum is housed within the old fuselage of a 100-seater aircraft. At the door of the jet, a docent dressed in a flight attendant’s uniform leads visitors inside for a closer look at the technology that allows us to travel around the world in a handful of hours. Visitors get to spend time in the cockpit to learn about the different controls, and they can view more than 200 small-scale models of aircraft that were built by local children. The Aircrafts Museum is the only aviation-themed museum in Nepal to date. The Annapurna region, one of the most stunning and diverse natural areas in Nepal, is famed for its trekking, and visitors come from all around the world to embark on backpacking trips that last anywhere from three days to three weeks. These trips often include incredible mountain views, walks alongside crystal-clear alpine lakes, and stops in the small ethnic villages that are scattered throughout Annapurna. Travelers can visit Annapurna on their own or join a guided tour to see all that the area has to offer. The area is also popular among mountaineers, skydivers, kayakers, mountain bikers, and canyoners. This protected park in Nepal was established in the Terai area during 1988. Situated along the banks of the Karnali River, this park is bounded by Siwalik Hills, the Nepalgunj-Surkhet Highway, and the Babi River. 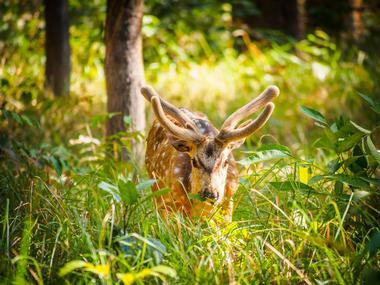 More than 555 square miles of land are protected between Bardiya and a neighboring park called Banke. The park has been used for several important studies and conservation efforts, including a monsoon dolphin monitoring project, a bamboo plantation project, and rhino radio collaring efforts. The park is about 15 hours away from Kathmandu by bus. This impressive Buddhist structure is one of the largest stupas in the world. Although the massive complex was erected years ago, it didn’t play an extremely important role in Buddhism until the 1950s when refugees from China began traveling to Kathmandu. 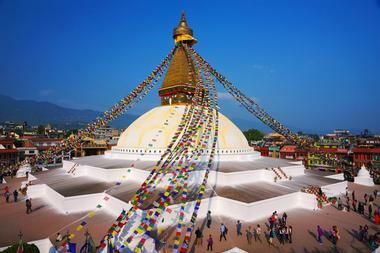 The stupa is adorned with eyes on each of its sides to symbolize the omniscient nature of the Buddha. The structure itself is a giant dome topped by a Buddhist pyramid tower. Visitors and locals alike frequent this sacred place. Chitwan National Park is a world heritage site that has protected Nepalese flora and fauna for more than three decades. Located in Nepal’s subtropical southern region known as the Terai, the park houses close to 70 species of mammals, 550 species of birds, and nearly 130 species of fish. All of these creatures thrive in the unique climate that exists in the Terai. 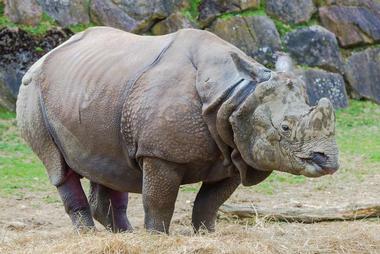 Chitwan National Park also protects a number of rhinoceros, crocodiles, and Royal Bengal Tigers. The park offers several lodging areas for visitors along with wildlife tours throughout the year. 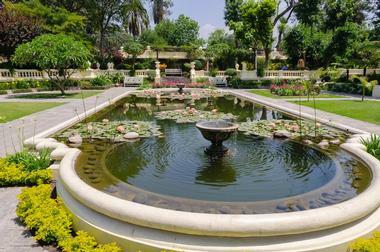 The Garden of Dreams is a welcome escape from busy city life in Kathmandu. Originally built in the early 20th century as a retreat for a high-ranking government official, this garden contains a museum as well as a lake covered in lily pads. The park was known as the Garden of Six Seasons when it was created in the 1920s. In 2007, the area was renovated and opened up to the public. Today it is a popular spot for cultural celebrations, meetings, concerts, special events, and parties. The Garden of Dreams also gets plenty of traffic everyday from locals and travelers. This famed site is one of the most popular monasteries in the Buddhist faith. The impressive complex sits atop a hill north of Boudha. Every year thousands of foreigners pour into the monastery to learn the basic tenets of Buddhism and to enjoy the peace that this special area provides. 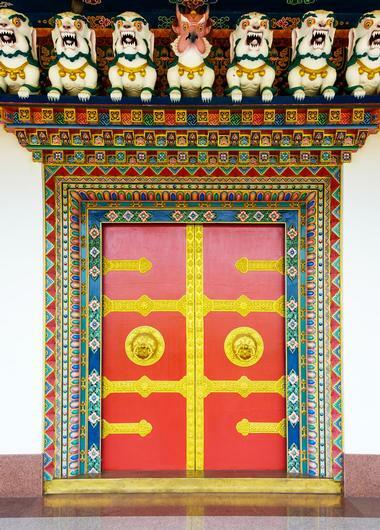 The monastery has its own step-by-step program for people who want to learn about Buddhism, meditation, Buddhist medicine, Thangka painting, and more. The monastery has become such a popular place that the number of visitors is limited on a daily basis. Koshi Tappu Wildlife Reserve is known for being the smallest park in the Terai. 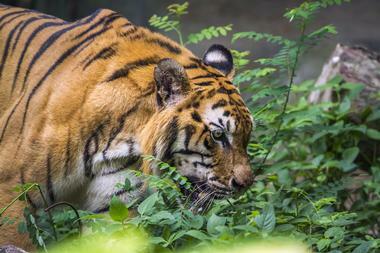 Although visitors won’t spot tigers or rhinos in this area, there is an abundance of birds. All kinds of unique species flock to this area throughout the year, and nearly 500 bird species have been spotted at the reserve over time. 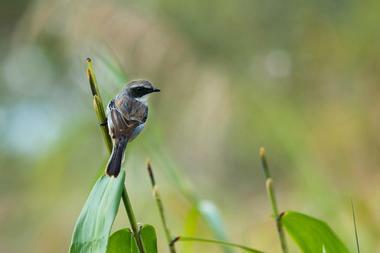 Five globally-threatened bird species have been found on the reserve as well. 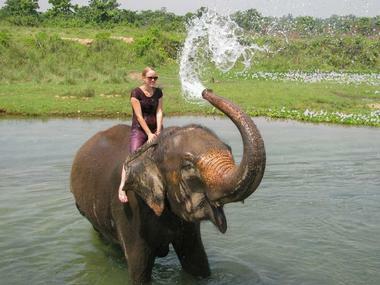 Visiting Koshi Tappu usually involves an elephant ride or a canoe trip with an experienced guide. Travelers can also explore some areas on foot. A trek to Langtang National Park is perfect for getting a taste of the Himalayas without having to commit to a lengthy trip. As it offers one of the most accessible trekking areas near Kathmandu Valley, travelers come here for short hikes as well as multi-day trips. Langtang is also known for its concentration of native Tamang people. More than 70 glaciers dot the impressive landscape in this area and there are several major rivers that cut through the vast landscape. 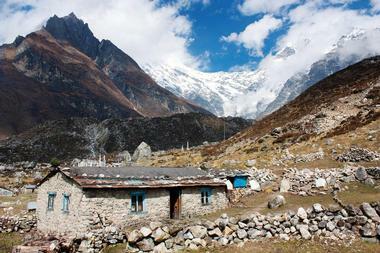 Tourist facilities and guides can be found throughout Langtang. The Manaslu trekking circuit is a well-established track that gives travelers a close-up look at Mt. Manaslu, the world’s eighth highest peak. The pristine trail that encircles the base of the mountain is dotted with ethnic villages, and rolling valleys and towering peaks surround the entire area. The Manaslu trekking area is also popular among mountaineers, backpackers, and other outdoor thrill seekers. 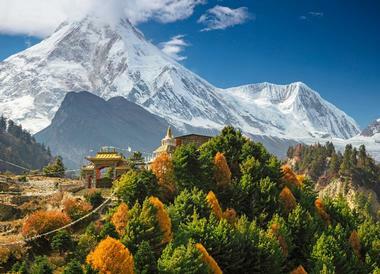 Visitors can see Manaslu on their own or as part of a guided tour. Known as the last stop before Mount Everest, Namche Bazaar was once a quiet outpost on a rugged hillside. Today, the settlement is packed with internet cafes, eateries, currency exchanges, hostels, and other tourist facilities. 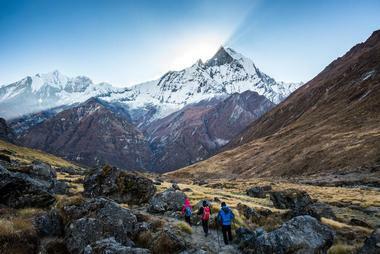 Travelers pass through Namche Bazaar as they prepare to embark on Everest Climbs and base camp treks. The town also has a sherpa museum where visitors can learn about the history of sherpas and their role in Everest treks. Namche Bazaar also happens to be the wealthiest district in Nepal, thanks to its thriving tourist economy. This impressive palace was once the primary residence of Nepal’s monarchs. Located in the center of Kathmandu, the palace has undergone several major changes over the years. It was reconstructed in 1970 and modeled after a pagoda. In 2001, Naranyanhiti Palace was the site of one of Nepal’s great tragedies when King Birenda, Queen Aishwarya, and other members of the royal family were killed in a massacre. There is still controversy surrounding the massacre since officials aren’t exactly sure about the circumstances that led to the tragedy. 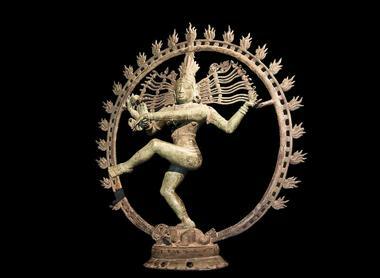 Today, Narayanhiti Palace is a museum that is open to the public throughout the year for a small fee. 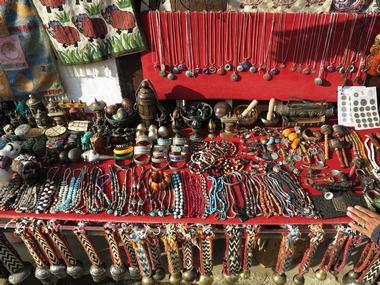 The National Ethnographic Museum contains unique exhibits and artifacts that showcase Nepal’s history. Located in Kathmandu, the museum showcases the history of multiple ethnic communities that have lived in different parts of Nepal for many years, including the Sherpas, Tamangs, and Thakalis. 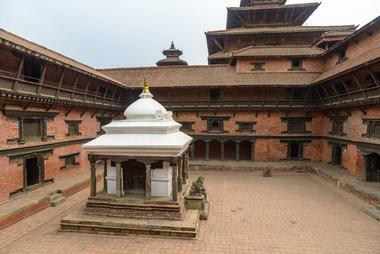 The museum includes displays about Nepalese architecture, language, culture, and other aspects of life in this unique country. The National Ethnographic Museum is open every day of the week except Mondays. Situated in the western part of Kathmandu, the National Museum is housed in a historical building constructed by General Bhimsen Thapa. 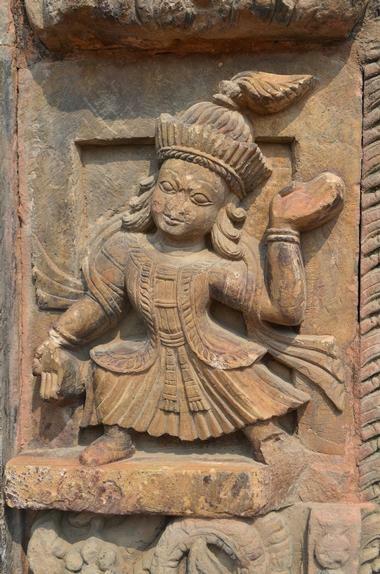 This museum has a vast array of exhibits and collections from Nepal’s history. 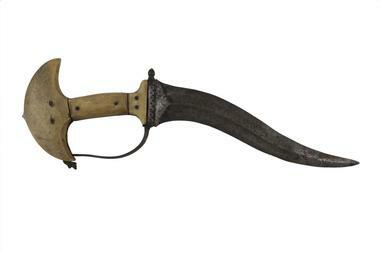 Art, sculptures, weapons, and other antiquities are on display throughout the National Museum. Some of the most important artifacts here include locally-made firearms, leather canons from the 18th and 19th centuries and various works of art made from wood, stone, and bronze. The museum is open daily except for Tuesdays and national holidays. The Parsa Wildlife Reserve is home to many kinds of unique animals. The park was one closed off to tourists, but today there is a small guesthouse on the reserve and several other tourist facilities. Many visitors stay in the nearby towns of Hetuada or Birgunj and then ride a bus in to visit the reserve for a day or two. Wild elephants, tigers, leopards, blue bulls, and wild dogs are among the creatures that call this peaceful place home. There are also hyenas, monkeys, and jungle cats that roam the large reserve, and more than 300 species of birds have been spotted at Parsa. 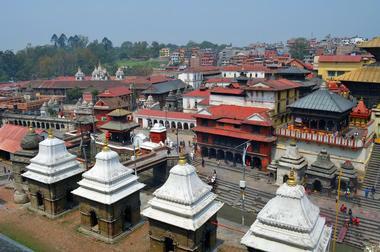 The Pashupatinath Temple is dedicated to the Lord Shiva. As the largest and one of the most significant temple structures in Nepal, Pashupatinath draws Shiva devotees from around the world. The temple features a gilded roof along with intricate wood carvings throughout the complex. The temple is located alongside a river where sacred Hindu ceremonies are performed. Visitors can come see Pashupatinath, although some parts of the temple are reserved solely for Hindu worshipers. A spring festival called Maha Shivaratri draws hundreds of thousands of Hindus from Nepal, India, and other neighboring countries. The building that houses this museum was once an old palace built by the Malla Dynasty. Years of painstaking work transformed this forgotten palace into a gem with an impressive garden, an ornate façade, and beautiful hand-carved woodwork. 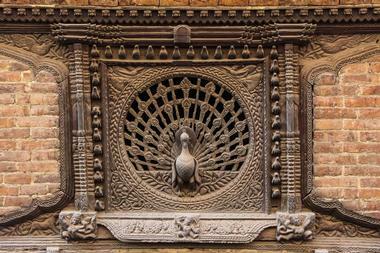 Artifacts from Hinduism, Buddhism, and Nepal’s history are all on display at the Patan Museum. More than 1,500 objects can be seen at any time, with 300 of these items being part of the museum’s permanent collection. There are also objects from India and Tibet on display. The museum is open everyday except for Tuesdays and national holidays. Known for being Nepal’s first national park, the Sukla Phanta Wildlife Reserve was established in 1973 to protect the unique ecosystem in this part of the country. The park joined the list of UNESCO World Heritage Sites in 1984. A tiny portion of the reserve is used for tourism, while the rest of the area remains undisturbed and largely out of reach of humans. Tourism numbers at the park tend to be low since there is only one flight a day to this part of Nepal from Kathmandu. Like many parks in Nepal, Sukla Phanta has an impressive bird population with nearly 500 different species that have been recorded over the years. Before meeting the monkeys at the top of this sacred Buddhist temple, visitors have to climb 365 steep steps. At the top the complex is a massive domed stupa along with several shrines and temples. Hundreds of monkeys swarm the complex, and pilgrims and worshippers welcome them since they are considered sacred in the Tibetan Buddhist and Hindu faiths. Aside from the monkeys, visitors can also see incredible views of the Kathmandu Valley from the top of the hill where this temple complex is located. 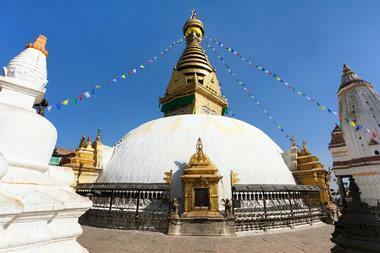 This monastery is celebrated as being one of the most famous sacred sites in Nepal. It is set against the stunning backdrop of Mount Ama Dablam, pilgrims, travelers, and locals come to this unique place to enjoy the simplicity of their surroundings and to participate in festivals and special events. Several major sites are accessible from Tengboche, including the start of the Everest Base Camp trek and Kala Pattar, which offers a clear view of the summit of Mt. Everest. Travelers are advised to be cautious moving through this area because of the high altitude and the potential for harsh weather conditions. Located opposite of the woodworking museum, the Brass and Bronze Museum showcases items used by nobility in the early 20th century. Objects used for religious rituals such as incense stands are also on display throughout the museum. The spittoons on display, which were once used to catch the saliva of Nepal’s rulers and nobles, tend to be a popular item at the Brass and Bronze Museum. The museum is open every day of the week except for Tuesdays. Located beyond the Himalayan Mountains, few travelers get the chance to see Upper Mustang, an area that sits atop the Tibetan Plateau. The arid climate and rugged landscape in this area is similar to Tibet. Access to this area is quite restricted; travelers have to obtain a specialized trekking permit and must be accompanied by a government officer in order for them to make the trip. Trekking trips in this area are nine days long at a minimum. The weather is dusty and dry almost all year long, but the winter months tend to be optimal for trekking. Mountain biking, village tours, and food tours are also popular in this region.